This is a list of airports in Oregon (a U.S. state), grouped by type and sorted by location. It contains all public-use and military airports in the state. Some former airports may be included where notable. For private-use airports, see the list of private-use airports in Oregon. 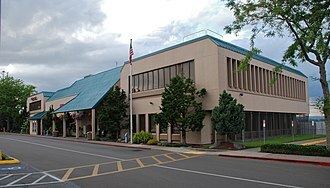 ^ Although FAA Form 5010 sources associate The Dalles Airport with Oregon, it is physically located in Dallesport, Washington. Its association with Oregon is strengthened by its ownership (partially by the City of The Dalles) and by the fact that its primary market served is in Oregon. Eastern Oregon Regional Airport is a city-owned public airport three miles northwest of Pendleton, in Umatilla County, Oregon. It is used for aviation and by one airline subsidized by the Essential Air Service program. The Federal Aviation Administration says the airport had 7,217 passenger boardings in calendar year 2008,3,828 in 2009,4,898 in 2010 and 4,305 in 2015. The National Plan of Integrated Airport Systems for 2011–2015 categorized it as a commercial service airport. Eastern Oregon Regional Airport covers 2,273 acres at an elevation of 1,497 feet and it has three asphalt runways, 7/25 is 6,301 by 150 feet, 11/29 is 5,581 by 100 feet, 16/34 is 4,341 by 60 feet. In 2010 the airport had 19,885 aircraft operations, average 54 per day, 77% general aviation, 17% air taxi,46 aircraft were based at the airport, 46% single-engine, 2% multi-engine, 22% helicopter, 7% glider, 9% ultralight, and 15% military. United Airlines served Pendleton from the 1930s until 1981, jets appeared in 1968, United Boeing 727-100s, 727-200s and 737-200s flew nonstop to Portland and Boise. Klamath Falls is a city in and the county seat of Klamath County, United States. The city was originally called Linkville when George Nurse founded the town in 1867 and it was named after the Link River, on whose falls the city was sited. 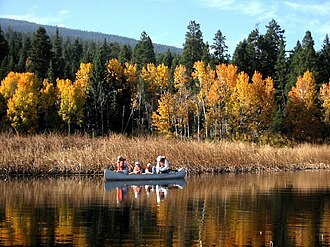 The name was changed to Klamath Falls in 1893, the population was 20,840 at the 2010 census. The city is on the shore of the Upper Klamath Lake. The Klamath Falls area had been inhabited by Native Americans for at least 4,000 years before the first European settlers, the Klamath Basin became part of the Oregon Trail with the opening of the Applegate Trail. Logging was Klamath Fallss first major industry, after its founding in 1867, Klamath Falls was originally named Linkville. 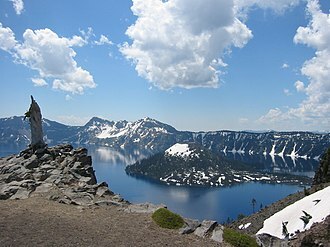 The name was changed to Klamath Falls in 1892–93, the name Klamath /ˈklæməθ/, may be a variation of the descriptive native for people used by the indigenous peoples of the Northwest Plateau to refer to the region. No evidence suggests that the name is from Klamath origin, the Klamath themselves called the region Yulalona or Iwauna, which referred to the phenomenon of the Link River flowing upstream when the south wind blew hard. The Klamath name for the Link River white water falls was Tiwishkeni, from this Link River white water phenomenon Falls was added to Klamath in its name. In reality its best described as rather than falls. The rapids are visible a short distance below the Link River Dam, the Klamath and Modoc Indians were the first known inhabitants of the area. This led to the Modoc War of 1872−1873, which was an expensive campaign for the US Cavalry. Seventeen Indians and 83 whites were killed, the Applegate Trail, which passes through the lower Klamath area, was blazed in 1846 from west to east in an attempt to provide a safer route for emigrants on the Oregon Trail. The first non-Indian settler is considered to have been Wallace Baldwin, in 1867, George Nurse, named the small settlement Linkville, because of Link River north of Lake Ewauna. The Klamath Reclamation Project began in 1906 to drain marshland and move water to allow for agriculture, with the building of the main A Canal, water was first made available May 22,1907. Brookings is a city in Curry County, United States. It was named after John E. Brookings, president of the Brookings Lumber and Box Company, as of the 2010 census the population was 6,336. In 1906, the Brookings Timber Company hired William James Ward, while John E. Brookings was responsible for the founding of Brookings as a company town, it was his cousin Robert S. Brookings, who was responsible for its actual design. The latter Brookings hired Bernard Maybeck, an architect based in San Francisco who was involved in the Panama–Pacific International Exposition. On September 9,1942, Mount Emily, near Brookings, a Japanese floatplane piloted by Nobuo Fujita launched from submarine I-25 was loaded with incendiary bombs and sent to start massive fires in the dense forests of the Pacific Northwest. The attack caused minor damage. Brookings made him an honorary citizen several days before his death in 1997, since the 1980s, Brookings has attracted retirees, mostly from California, senior citizens constitute approximately a quarter of the towns population. It is home for a number of people who commute to jobs in California at nearby Pelican Bay State Prison, the total population of the Brookings area is over 13,000, which includes Harbor, and others. This development has the potential to add approximately 1,000 homes over the next 20 years, the unincorporated community to the south of the Chetco River, while included in the Brookings Urban Growth Boundary, has resisted annexation into the City of Brookings. There development has occurred without annexation, as Harbor is independently served by independent fire, the City of Brookings offers the only 24/7 police service in Curry County. The current marketing brand for the community, through the Brookings-Harbor Chamber of Commerce, is The Pulse of Americas Wild Rivers Coast, Americas Wild Rivers Coast is a regional marketing brand for Curry County and Del Norte County, California. The Port of Brookings Harbor was damaged by tidal surges from a tsunami on March 11,2011, the largest surge was estimated to be nearly 8 feet. Ashland is a city in Jackson County, in the State of Oregon. It lies along Interstate 5 approximately 16 miles north of the California border, as of 2015, the citys population was approaching 21,000. 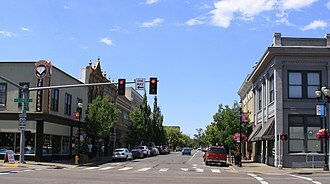 The city is the home of Southern Oregon University and the Oregon Shakespeare Festival and these are important to Ashlands economy, which depends on restaurants and retail stores that cater to tourists. 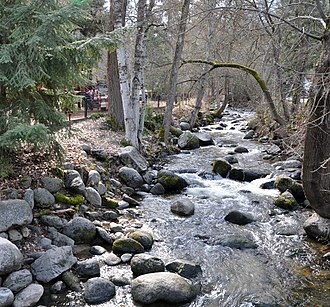 Lithia Park along Ashland Creek, historic buildings, and a paved intercity bike trail provide additional visitor attractions, Ashland has a mayor-council government assisted by citizen committees. Historically, its politics have differed, often sharply, with much of the rest of southwest Oregon. 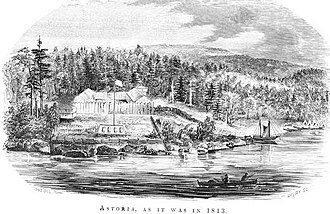 Prior to the arrival of settlers in mid-19th century, the Shasta people lived in the valley along Ashland Creek approximately where todays city is located. Early Hudsons Bay Company hunters and trappers following the Siskiyou Trail passed through the site in the 1820s, in the late 1840s, mainly American settlers following the Applegate Trail began passing through the area. By the early 1850s, the Donation Land Act brought many to the Rogue Valley and these often violent clashes, known ultimately as the Rogue River Wars, continued until 1856. In 1851, gold was discovered at Rich Gulch, a tributary of Jackson Creek, settlers arrived in the Ashland area in January 1852, including Robert B. Hargadine, Sylvester Pease, Abel D Helman, Eber Emery and Hargadine filed the first donation land claims in Ashland. Helman and Emery built a sawmill along what was called Mill Creek to turn timber into lumber for settlers, in 1854, they and another settler, M. B. Morris, built a mill, Ashland Flouring Mills, to grind local wheat into flour. The community around the mill known as Ashland Mills. A post office was established in Ashland Mills in 1855 with Helman as postmaster, during the 1860s and 1870s the community grew, establishing a school, businesses, and a large employer, Ashland Woolen Mills, which produced clothing and blankets from local wool. 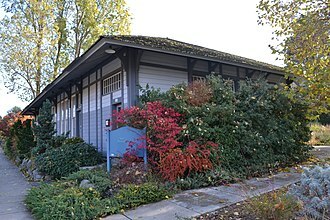 In 1871, the Post Office dropped Mills from Ashlands name, in 1872 Reverend J. H.
Hillsboro Airport, known as Portland–Hillsboro Airport, is the name of a corporate, general aviation and flight-training airport serving the city of Hillsboro, in Washington County, Oregon, USA. It is one of three airports in the Portland, metropolitan area owned and operated by the Port of Portland, established in 1928, it is Oregons second busiest airport at over 200,000 operations annually. Located in the area of Hillsboro, and west of Portland. The airport includes a Federal Aviation Administration control tower, three paved runways, fueling facilities, and a passenger terminal. Hillsboro Airport is a port of entry, with a single-person U. S. Customs, Hillsboro airport goes back to as early as 1928. Dr. Elmer H. Smith purchased 100 acres of land near the town to use as an airport, in the early 1930s after Smith died the city purchased the airport for $7,500 and received a federal grant to improve the facilities. They built two runways, one 3,000 feet long and the other at 2,800 feet, in July 1936, Richard Evelyn Byrds Stars And Stripes Fairchild FC-2 aircraft used to explore the South Pole was displayed at the airport. The three commercial carriers at Hillsboro were Coastal Airways, Columbia Air Cargo, and General Air Cargo. This was the flooding that wiped out the city of Vanport, the field was considered as a possible Naval air station in 1946 and again in 1955, but was eventually rejected by the Navy. In early 1960 several companies were located at the airport including Tektron Instruments, in 1964, the Hillsboro City Council made an official request to the Port of Portland to take over ownership of the airport. The facility had been deteriorated due to funding, and the Port agreed to take over ownership after some legal wrangling in 1965. Then on August 28,1966, an air control tower was opened after construction costs of $400,000 with staffing by the FAA. Next in April 1975 the current main terminal includes offices. A Horizon Air plane was hijacked on May 2,1986, en route from Eugene to Portland, in 1989, customs call out service was added to allow international business flights at the airport after lobbying by Congressman Les AuCoin and business leaders. Roberts Field is a domestic airport in Deschutes County, Oregon. It is owned and operated by the city of Redmond, Oregon and it is the main commercial airport in Central Oregon, with nonstop regional airline flights to several hubs in the western U. S. The airfield serves Redmond as well as nearby Bend, Oregon and it is the home of the Lancair factory and a base for aerial firefighting aircraft operated by private airtanker companies. The National Plan of Integrated Airport Systems for 2011–2015 called it a commercial service airport. Federal Aviation Administration records say the airport had 235,192 passenger boardings in calendar year 2008,221,463 in 2009 and 226,400 in 2010, built in the 1920s, passenger flights arrived at the airport in 1940. During World War II the airfield was used by the United States Army Air Forces as a bomber base, after the war the federal government sold the airport to the city for $1. By 1959 United was operating Convair 340s Seattle - Portland - Redmond - Klamath Falls - Sacramento - San Francisco and back. United would end service to Redmond and by 1960 West Coast Airlines Douglas DC-3s were flying Portland, OR - Salem, OR - Redmond, OR - Klamath Falls, OR - Lakeview, OR - Burns. West Coast Airlines merged with Bonanza Air Lines and Pacific Air Lines to form Air West which became Hughes Airwest, in 1972 Hughes Airwest Fairchild F-27s flew nonstop to Portland and direct to Sacramento, San Francisco and Seattle. By 1975 Hughes Airwest had introduced McDonnell Douglas DC-9 jets to Redmond, flying nonstop to Portland and direct to San Francisco, in 1980 Hughes Airwest had four DC-9 flights a day from Redmond, twice to San Francisco via Redding and to Seattle twice via Eugene. Hughes Airwest merged into Republic Airlines which continued to operate DC-9s to Redmond, in 1981 Republic DC-9-30s flew nonstop to Portland and Klamath Falls, continuing to San Francisco or Seattle. On August 1,2006 Horizon Air began twice daily nonstops to Los Angeles with 76-seat Bombardier Dash 8 Q400s and this was reduced to one daily flight on June 24,2008, due to rising fuel prices. Southwest Oregon Regional Airport, formerly North Bend Municipal Airport, is a public airport in North Bend, Coos County, Oregon. 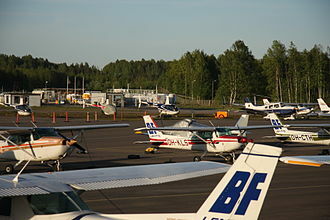 It is operated by the Coos County Airport District, the airport changed its name in April 2006 to avoid confusion with Bend, in central Oregon. It is the commercial airport on the Oregon Coast and is served by United Express. SkyWest flies non-stop to San Francisco International Airport and ended its service to Portland International Airport on February 16,2012. In January 2012 regional air carrier SeaPort Airlines began daily flights to Portland, on the heels of the announcement by SeaPort, PenAir announced they would begin non-stop service between Portland and North Bend beginning March 21,2016 using the 30 passenger Saab 340. SeaPort ceased operations at North Bend on March 20,2016, the airport had been served by Horizon Air, which flew to Portland International Airport from 1982 until October 11,2008. The airport is seeing more private jets carrying golfers to Bandon Dunes Golf Resort, the airport opened a new terminal in July 2008, in February 2009 a new Air Traffic Control Tower opened. 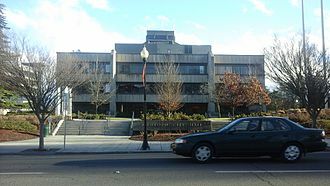 Albany is the county seat of Linn County, and the 11th largest city in the State of Oregon. Albany is located in the Willamette Valley at the confluence of the Calapooia River and it is predominantly a farming and manufacturing city that settlers founded around 1848. 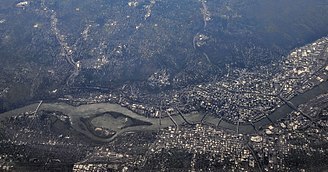 As of the 2010 United States Census, the population of Albany was 50,158 and its population was estimated by the Portland Research Center to be 51,583 in 2013. Albany has a home rule charter, a government. 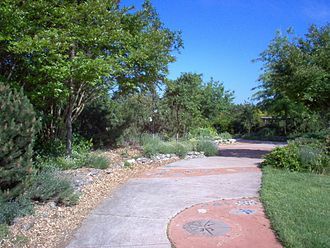 The city provides the population access to over 30 parks and trails, a senior center. In addition to farming and manufacturing, the economy depends on retail trade, health care. 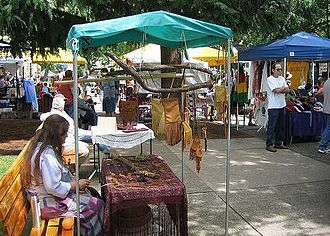 In recent years the city has worked to revive the downtown shopping area, in the historic era, the area of the Willamette Valley that makes up modern-day Albany was inhabited by one of the tribes of the Kalapuya a Penutian-speaking, Native American people. The Kalapuya had named the area Takenah, a Kalapuyan word used to describe the deep pool at the confluence of the Calapooia, a variation of the place name can be written as Tekenah. 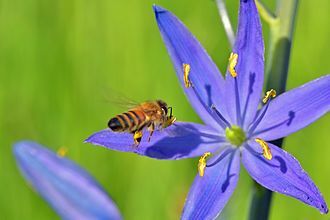 The Kalapuya population in the valley was between 4,000 and 20,000 before contact with Europeans, but they suffered high mortality from new diseases introduced shortly afterward. The tribes were decimated by an epidemic that raged through the Pacific Northwest in 1782–83. A malaria outbreak swept through the region between 1830 and 1833 and it is estimated that as many as 90 percent of the Kalapuya population died during this period. That, coupled with the treaties signed during the 1850s by the Kalapuya to cede land to the United States, the first European American settler arrived in 1845, Abner Hackleman was a farmer from Iowa. Taking up a claim for himself, Hackleman asked Hiram N. Smead to hold another for him until his son arrived from Iowa. In 1846, a year after arriving in Oregon, Hackleman died while returning to Iowa to fetch his family. In 1847 a pair of brothers and Thomas Monteith, settled in the area, after traveling by ox team along the Oregon Trail from their native state of New York. Bend is a city in, and the county seat of Deschutes County, United States. 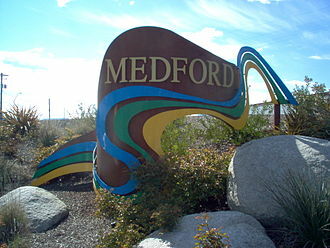 It is the city of the Bend, Oregon Metropolitan Statistical Area. Bend is Central Oregons largest city, and despite its modest size, is the de facto metropolis of the region, Bend recorded a population of 76,693 at the time of the 2010 U. S. Census, up from 52,029 at the 2000 census. The estimated population of the city as of 2013 is 81,236, Bends metro population was estimated at 165,954 as of July 1,2013. 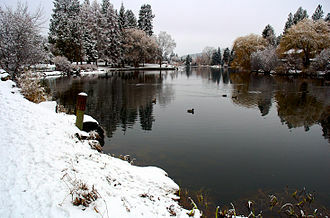 The Bend MSA is the fifth largest metropolitan area in Oregon, Bend is located on the eastern edge of the Cascade Range along the Deschutes River. Here the Ponderosa Pine forest transitions into the desert, characterized by arid land, sagebrush. 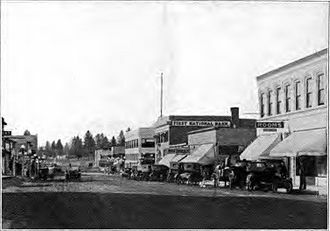 Originally a crossing point on the river, settlement began in the early 1900s, Bend was incorporated as a city in 1905. In 2015, Mens Journal ranked Bend as one of The 10 Best Places to Live Now, for at least 12,000 years, until the winter of 1824, the Bend area was known only to Native Americans who hunted and fished there. That year, members of a fur trapping party led by Peter Skene Ogden visited the area, frémont, John Strong Newberry, and other Army survey parties came next. 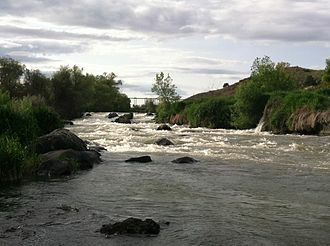 Then pioneers heading farther west passed through the area and forded the Deschutes River at Farewell Bend, constructed in May 1901, the Pilot Butte Development Companys little plant was the first commercial sawmill in Bend. The original location was at the rear of the Pilot Butte Inn of years and Reed set up a small mill in Bend in 1903. This was on the Deschutes River just below the Pioneer Park area, the mill was operated by water power. A small community developed around the area, and in 1904, on January 4,1905, the city held its first official meeting as an incorporated municipality, appointing A. H. Goodwillie as the first mayor. The settlement was originally called Farewell Bend, which was shortened to Bend by the U. S. Postal Service. In 1910, Mirror Pond was created by the construction of the Bend Water, the dam provided the city with its initial source of electricity. 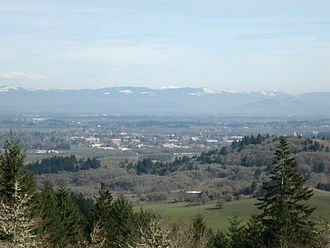 Hillsboro is the fifth-largest city in the State of Oregon and is the county seat of Washington County. At the 2010 Census, the population was 91,611. 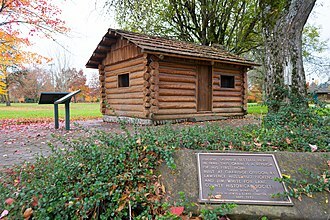 For thousands of years before the arrival of European-American settlers, the Atfalati tribe of the Kalapuya lived in the Tualatin Valley near the site of Hillsboro. The climate, moderated by the Pacific Ocean, helped make the region suitable for fishing, food gathering, settlers founded a community here in 1842, named after David Hill, an Oregon politician. 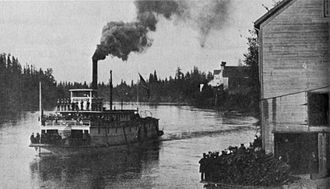 Transportation by riverboat on the Tualatin River was part of Hillsboros settler economy, a railroad reached the area in the early 1870s and an interurban electric railway about four decades later. 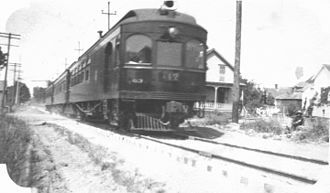 These railways, as well as highways, aided the growth of the city to about 2,000 people by 1910 and about 5,000 by 1950. Hillsboro has a government consisting of a city manager and a city council headed by a mayor. In addition to industry, sectors important to Hillsboros economy are health care, retail sales. The city operates more than twenty parks and the mixed-use Hillsboro Stadium, modes of transportation include private vehicles, public buses and light rail, and aircraft using the Hillsboro Airport. 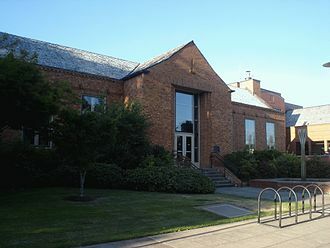 The city is home to Pacific Universitys Health Professions Campus, notable residents include two Oregon governors. The first people of the Tualatin Valley were the Atfalati or Tualaty tribe of the Kalapuya, the valley consisted of open grassland maintained through annual burning by the Atfalati, with scattered groves of trees along the streams. The Kalapuya moved from place to place in good weather to fish and hunt and to gather nuts, roots, important foods included camas and wapato, and the Atfalati traded for salmon from Chinookan tribes near Willamette Falls on the Willamette River. During the winter, they lived in longhouses in settled villages, some near what became Hillsboro and their population was greatly reduced after contact in the late 18th century with Europeans, who carried smallpox and malaria. Link River downstream white water falls from which Klamath Falls got its name. 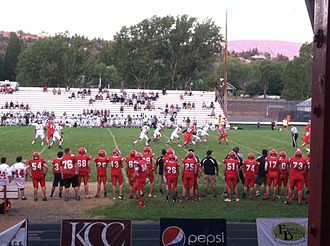 Klamath Union High School (KU) 2013 football team in action. A white tiger and its handler at Great Cats World Park. Now retired refueling center at the airport, known as "the mushroom"